Emulsions are important to a variety of industries and are the basis for many food, pharmaceutical, agricultural, health care, and construction materials. Emulsions are colloidal suspensions of one liquid in another liquid and are useful because they facilitate the accurate delivery of optimal concentrations of active materials for a variety of applications. Emulsions are usually water-based which is both cost-effective and innocuous. Road Science specializes in emulsifier technology for producing Refined Coal Tar and Asphalt emulsions used in the asphalt paving industry. These types of emulsions are used to build, maintain and recycle our roadways, driveways and parking lots. They are also used to make specialty coatings for industrial applications such as waterproofing, sound dampening and architectural coatings. These emulsions provide many key benefits versus alternative materials, including adaptability and flexibility, enhanced performance, ease of use, energy savings, and improved worker safety. Today the paving industry faces many challenges including an aging infrastructure in mediocre to poor condition, reduced agency funding amid rising costs, increased competition from alternatives such as concrete, and demand for improved environmental stewardship and sustainability. 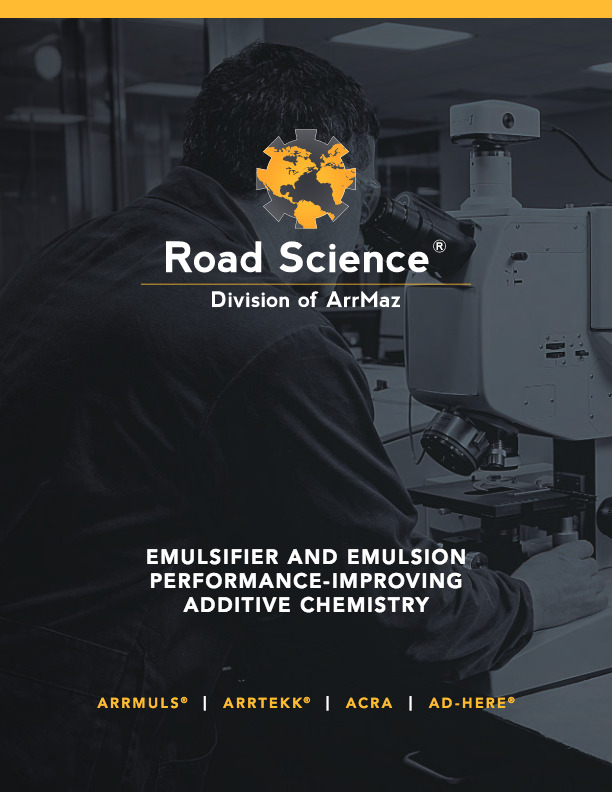 Road Science is focused on providing the industry with smarter, innovative emulsifier technologies designed to improve emulsion performance to create longer lasting and more cost efficient roads and specialty coatings. We work alongside our customers in both the plant and field to implement new emulsifier technologies to help them improve emulsion product performance, fix product problems, bring new products to market, and increase efficiency and profitability.